The NSW Government has just last week closed a public consultation on proposed amendments to regulation regarding asbestos-affected homes, and a public register of these buildings. Following a steady increase in asbestos-related deaths in the late 1990’s and early 2000’s, state governments are working to eliminate all risk of asbestos inhalation and alleviate its danger. Prior to 1980, asbestos was used in many construction projects before its dangers were known. In NSW and the ACT, there was at least one company who used raw amosite and crocidolite asbestos, otherwise known as loose-fill asbestos, as ceiling insulation in a number of residential homes. The amendments to regulation deal exclusively with this loose-fill asbestos insulation and the affected properties. In late 2015 the Home Building Act 1989 was amended to include a loose-fill asbestos insulation register, whereby if a property tests positive to loose-fill asbestos insulation, it would be listed on the public register. Before this register can become operational however, changes are required to the Home Building Regulation 2014, the Residential Tenancies Regulation 2010 and the Environmental Planning and Assessment Regulation 2000. Details of these changes are listed below. 1. The proposed changes to the Home Building Regulation 2014 deal with the testing to identify loose-fill asbestos insulation. This determines which properties should be listed on the register and any warning sign requirements for homeowners or sellers. 2. On the Residential Tenancies Regulation 2010, if a property is on the loose-fill asbestos insulation register, this must be disclosed to prospective tenants, and a new term must be added to the standard tenancy agreement regarding this. 3. The Environmental Planning and Assessment Regulation 2000 is being amended to show that section 149 planning certificates must disclose if a property is listed on the loose-fill asbestos insulation register. How does this affect homeowners, sales agents and property managers? Following public comment on the proposed changes, the NSW Government must now address any public queries, and further changes may be required to the regulations before a public register can be laid out. When the changes are approved, and the public register is introduced, homeowners will be obliged to list asbestos-affected homes on the public register, and comply with all requirements stated above. This means for homeowners and estate agents wanting to sell an affected property, you would be obliged to disclose as material fact that the property is listed on the loose-fill asbestos insulation register to any prospective buyers. For landlords and property managers, you are also required to disclose to prospective tenants the existence of loose-fill asbestos insulation and the property’s listing on the public register. What assistance exists if residents’ homes are affected? The NSW Government has identified 28 Local Government Areas (LGAs) where loose-fill asbestos insulation was used in homes prior to 1980. In an effort to minimise risk of public exposure to the asbestos, homeowners in these areas are invited to register for a free sample test to determine if their home contains loose-fill asbestos insulation. Homeowners have until August 1, 2016 to register for the free sample test. Homeowners outside of these identified LGAs can also have their property tested, but will need to engage a Licensed Asbestos Assessor. While not eligible for the free testing initially, if the test comes back positive to the presence of loose-fill asbestos insulation, the cost of the test will be refunded by the NSW Government. The NSW Government has established a Voluntary Purchase and Demolition Program for dwellings found to contain the loose-fill asbestos insulation. Having determined that demolition and comprehensively clearing the site is the safest way to secure the site and make it safe for residents and the public, the program is designed to provide an assistance package to homeowners whose homes are affected. Through this voluntary program, if a property is found to contain loose-fill asbestos insulation, the NSW Government can either purchase the premises and land or premises only. Property owners have two options. The NSW Government purchases the property at market value, as if it were free of any loose-fill asbestos insulation. The Government then demolishes and remediates the land, before selling in the public property market once again. Please note that this is the only option for owners of multiple dwelling units or strata properties. The second option sees the NSW Government purchasing the premises only, the owner retaining ownership of the land. As with option one, the house is valued as if free from loose-fill asbestos insulation. The Government demolishes the dwelling, remediates the land, and the owner can then rebuild. For rural properties, including those zoned R5 or RU1-4, this is the only option. For homeowners, finding out if your home falls into the at risk category - in an identified LGA, and built before 1980 - is important for a number of reasons. Not only could it minimise your and your family’s risk of exposure to the toxic asbestos insulation, it could save you money and heartache when trying to sell or lease your property in the future. 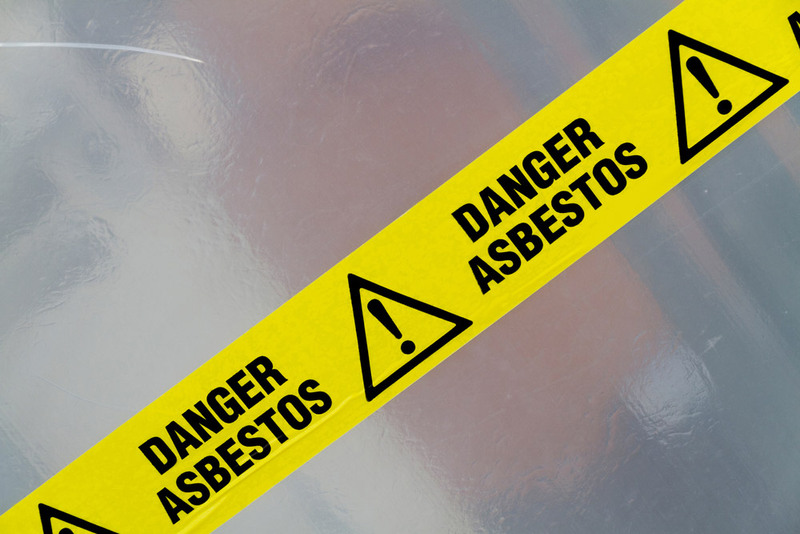 When the changes to regulations are passed, and the public register for dwellings containing loose-fill asbestos insulation comes into play, prospective buyers and tenants will be informed immediately that the home is affected. This will potentially drop its value dramatically, leaving you hands tied, unable to sell for a decent return. If you are concerned your home may be affected, don’t hesitate, register for a free assessment before August 1, 2016. For more information about the proposed changes to regulations see the NSW Fair Trading website, and for more information on the Voluntary Purchase and Demolition Program, click here.